Your Source For Ski Resort Deals. Ski vacation packages to Utah. Take advantage of our deals, discounts, the best planning advice, or create your own ski / snowboard package. 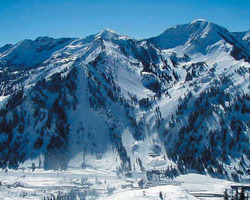 The Alta ski resort, located just 25 miles southeast of Salt Lake City at the top of Little Cottonwood Canyon, is only 45 minutes away from the Salt Lake City International Airport. Going through the State Highway 210, ski fanatics can enjoy the lush outdoor views and amenities that the ski resort has to offer. 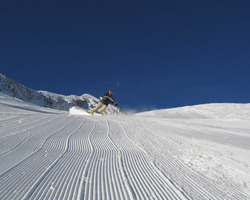 The Alta Ski Area offers well-groomed runs located at every lift. Five kilometers of groomed Nordic Tracks are ready to be enjoyed at your convenience. The resort has been world renowned for its deep powder, variety of terrain and its awe-inspiring scenery. After the past 8 years of collecting the industry's top awards and still recently emerging as the #1 ski resort in North America by readers of SKI magazine, Deer Valley enjoys the honor of earning one of the most coveted acclaims for the second time. Now renowned as one of the top ski destinations in the world, Deer Valley Resort is as accessible as leaving home in the morning and enjoying the mountains the same afternoon. 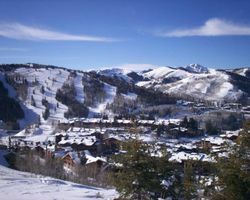 Located in the historic mining town of Park City, Utah, this best-kept quiet mountain secret that is just 6 miles from the Salt Lake City International Airport offers deluxe amenities including ski valets, perfectly groomed slopes, on-site child care, gourmet dining and dynamic, invigorating activities. 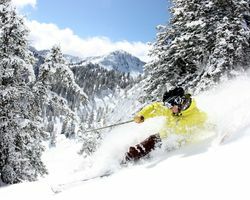 A "no boarding resort" covering six mountain peaks on 2,026 skiable acres with 99 multi-level runs, 6 bowls connected by 22 state-of-the-art lifts. 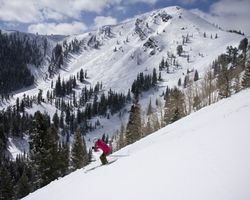 Experience Utah's charm on Deer Valley's fresh powder, groomed trails, extreme skiing and the award-winning service that the resort is famous for. Enjoy the Victorian elegance at The Silver Lake area, a European village on mid-mountain or the Snow Park at the base area which is close to downtown Historic Main Street. Escape to one of America's photographic resorts and discover how wonderful a Deer Valley vacation can be. A whole new world awaits the avid skier 14 miles up Big Cottonwood Canyon. A world wherein the beauty is unrivaled as rugged rock formations melt into blankets of pristine powder. Mornings can be spent in the Solitude Mountain Resort admiring the playful wildlife and the masterpieces designed by Mother Nature. Winter in the area brings in over 500 inches of snow that graces on 1,200 acres of terrain including Honeycomb Canyon which is renowned for its unique geological features. Experience the meaning of solitude as even during the summer season, the canyon is blanketed with vibrant wildflowers and lush foliage, providing the best ambiance for a bike tour or a picnic with the whole family. The surrounding national forest and development restrictions guarantee a destination that has been frozen and unchanged in time.